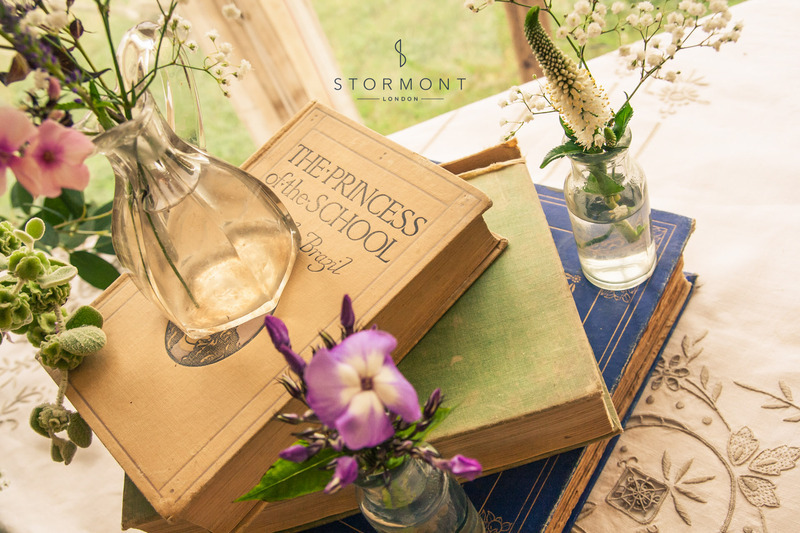 It is often the efforts of the planning team less the finance behind them that makes a truly memorable wedding. 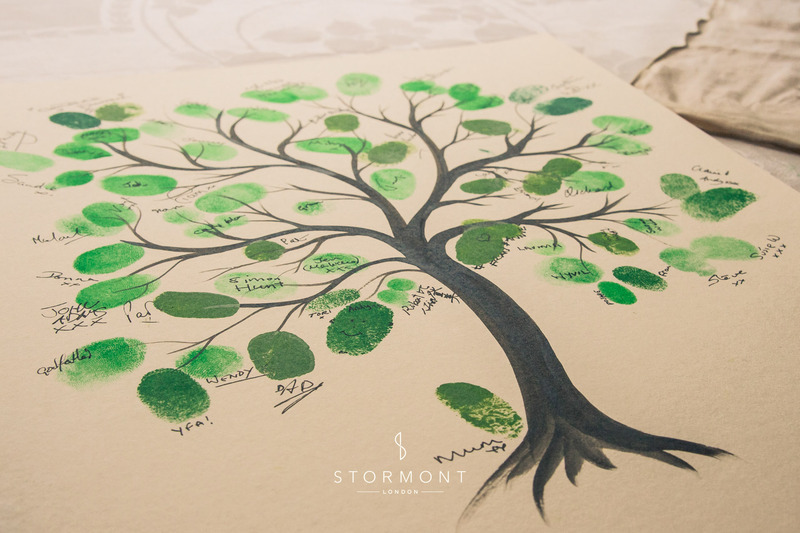 Some of our favourite weddings are those in which the bride & groom make their personalities felt in every detail of the day. 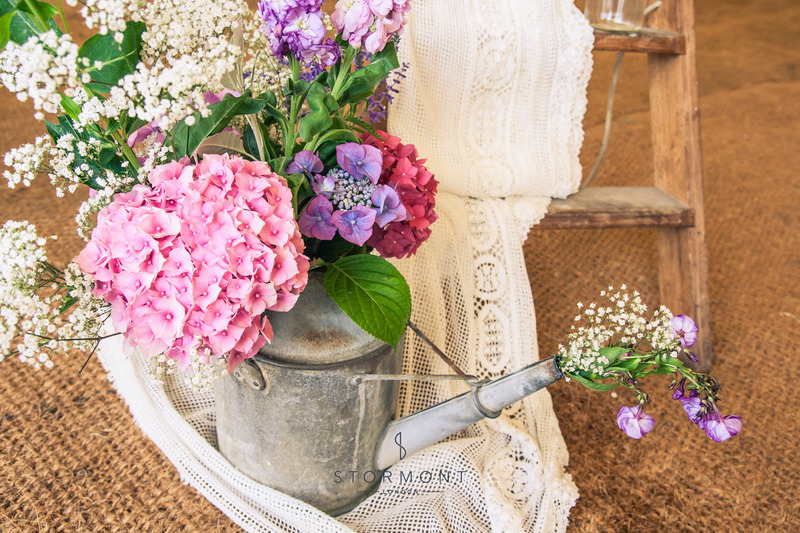 At this country occasion in Suffolk we were taken with the attention to detail of the bride and groom. 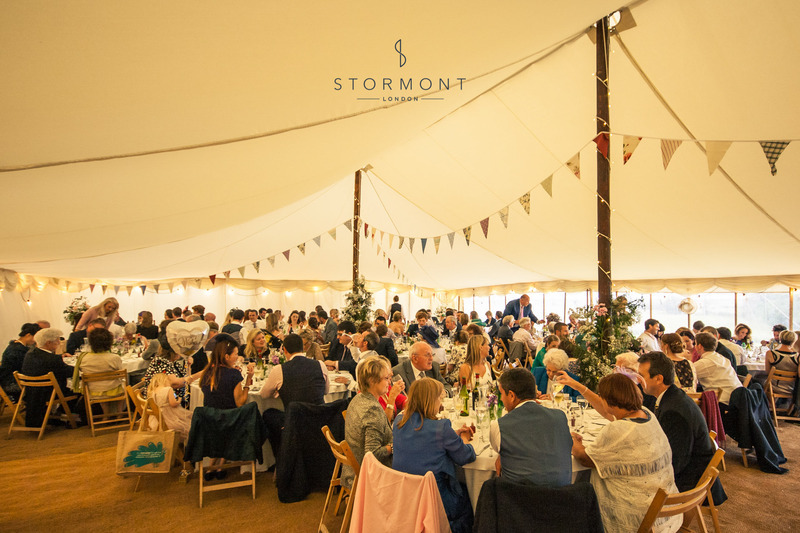 Held in a traditional marquee supported by internal wooden tent poles, Kathryn and Jason had created a rustic and welcoming setting. 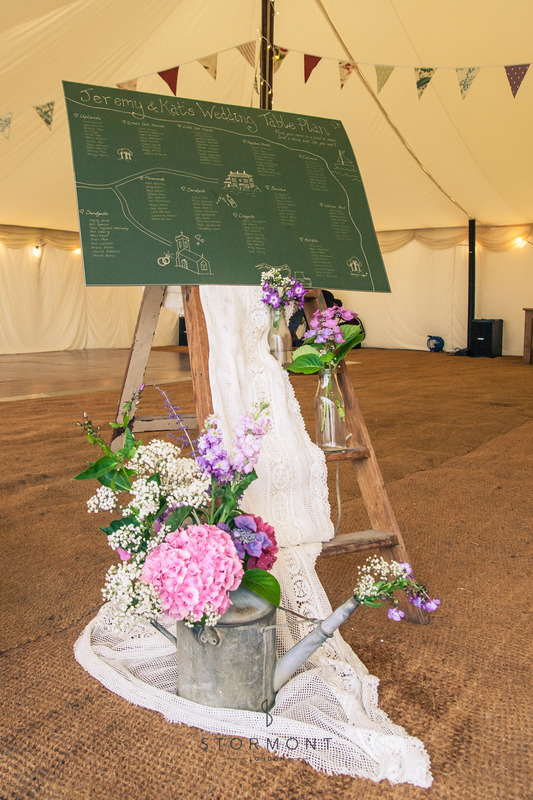 Alongside a chalk board table plan their vintage wedding decorations included old books, british meadow flowers in small electric jars and a finger print tree for their guest to mark and sign. 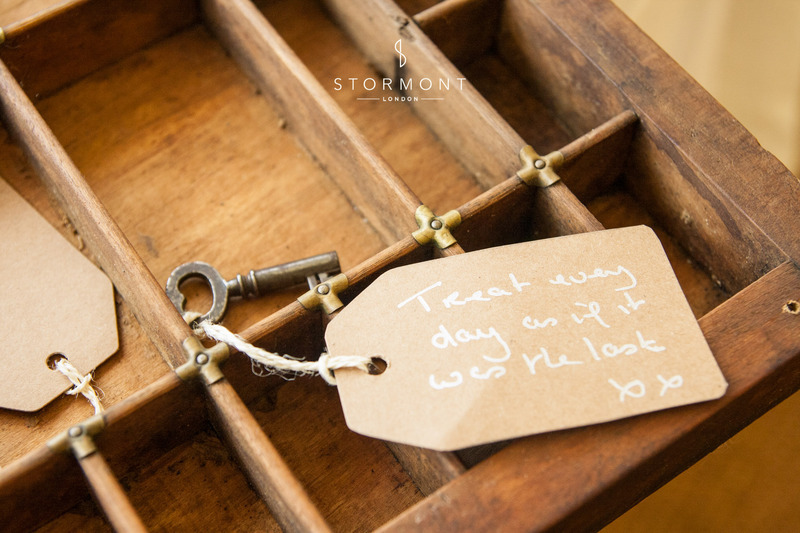 Guests could also leave personalised messages for the newlyweds. Tied to quaint keys they filled an old wooden tray by the end of the evening. 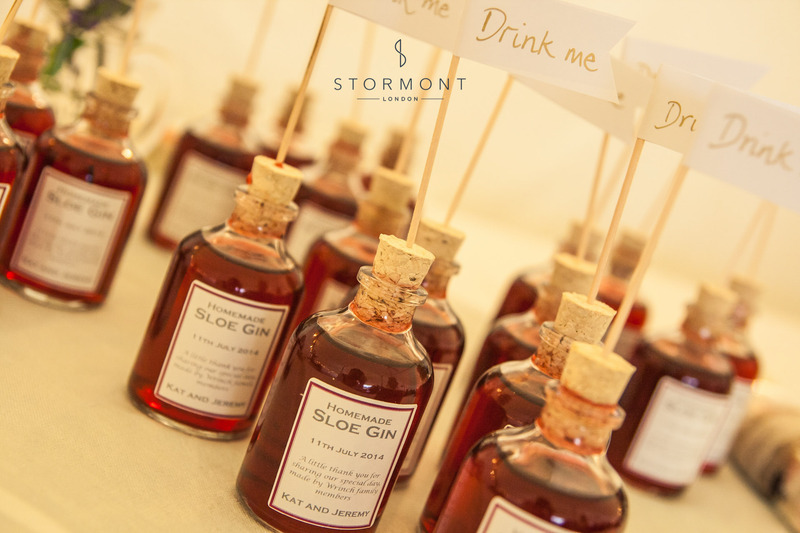 The bride’s family had also distilled their own sloe gin, corked bottles of which were left as favours as part of each table setting.